Asian Century Institute - Towards a multicultural Korea? Could its current wave of immigration transform ethnocentric Korea into a multicultural society asks John West. South Korea is one of several Asian countries which are living demographic dramas. Its fertility rate has fallen from over 6 births per woman in 1960 to 1.3 today. Indeed, its fertility has been below the replacement rate of 2.1 births per woman for over 30 years. This means that Korea's working age population began to decline this year, 2016, while the total population is set to start falling from the year 2030. And Korea has the fastest aging population in the world, with all the consequent economic and social costs. By 2045, the average age of Koreans could reach an astronomical 50. Korea's rapid urbanisation has also left the countryside short of workers, and especially short of marriageable women. Today 82% of Korea’s population live in cities compared with 58% in 1981. And with Korea having one of the world’s highest levels of education according to the OECD, Korea’s youth invariably show little interest in doing "3-D jobs" -- dirty, difficult and dangerous. In short, after being a nation of emigration for over a century, Korea is now in desperate need of immigrants to fill its demographic gaps. By the year 2020, foreigners could constitute about 5% of the total Korean population, and 10% by the year 2020, according to Brookings’ Katherine Moon. According to a report by the Korea Economic Research Institute, Korea might need to up to 15 million migrants by the year 2060. But in contrast to the past, Korea will also need to attract highly skilled and educated foreign workers, as do Hong Kong and Singapore, in order to maintain its economic dynamism. Who make up Korea’s foreign population, and by what means did they arrive in Korea? Korea’s foreign population covers students, white-collar workers, migrant workers in agriculture, low-end industries and service jobs, undocumented workers, and foreign brides. Migrants from China, usually ethnic Koreans, are the most important group, accounting for around 40% of total. There is also a growing number of North Korean defectors, with some 30,000 reportedly living in the South today. 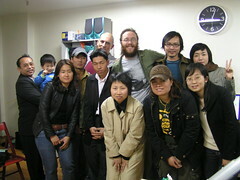 There have been several programs facilitating the arrival of Korea’s migrants. In the early 1990s, there was the Industrial Trainee System. Then from the 2000s, the Employment Permit System (EPS) has permitted the entry of migrants from Southeast and Central Asia to work in labor shortage industries like agriculture and stockbreeding, fishery, construction, and manufacturing. Many of Korea’s farming villages are now highly dependent on foreign labor. The EPS is in reality a guest-worker program, with little hope of nationalization, which only allows migrants to work for a limited number of years. EPS guest walkers are not allowed to bring family members, and are only allowed to change jobs with the consent of their employer, leaving many trapped and highly vulnerable to abuse. Marriage migration constitutes a third avenue for migration to Korea. This enables a range of Korean men, such as agricultural workers, the urban poor, or lower-middle class bachelors or divorces, to find wives. Most foreign brides come from China (Korean ethnics), the Philippines, Thailand and Vietnam. Marriage migration is one of the very few paths to Korean naturalization. Marriage migration has become necessary because less and less Korean girls are now interested in marriage. Only 46% of Korean girls are interested in marriage, compared with 63% for Korean males, according to a recent survey. In more recent years, there has been an influx of professional expats, foreign teachers and international students. Some students are reportedly attracted by Korea’s vibrant pop culture scene. Today, there are over 820,000 people (including 300,000 foreign spouses) belonging to multicultural families in Korea, a figure which has more than doubled over the past eight years, reports Katherine Moon. Children born with at least one Korean parent are automatically granted Korean citizenship. In rural areas, about 40% of new marriages per year are between a Korean male and a foreign-born female. And for the Korean nation as a whole, some 10% of marriages are multicultural. Despite these new trends towards a multicultural Korea, “New Koreans” suffer from discrimination by the larger society, and from economic insecurity and socio-cultural marginalization. Korean businesses are free to refuse to serve foreigners, something which is not uncommon. Korean identity has long been based on notions of racial and ethnic purity. To put it bluntly, racism is a big problem in Korea, despite reports of Koreans becoming somewhat more accepting of foreigners. The impact of discrimination is particularly disturbing for children of mixed marriages, very many of whom suffer greatly and do poorly at school. Many multiracial children have difficulty speaking Korean, because their mothers lack fluency. Over time, this could become a major problem unless addressed, as the immigrant mothers have a very much higher birth rate than natives. Other problems are domestic abuse of migrant wives by their Korean family members and labor or marriage brokers. This is creating diplomatic issues with countries like Vietnam. There have been some limited positive developments. In 2012, Jasmin Barcunay Lee, a Philippines-born immigrant, was the first naturalized Korea to win a seat in the National Assembly. Over the years, the government has implemented a number of policies to facilitate the economic and social integration of migrants. It even promotes the idea of Korea becoming a multicultural society. And foreign residents were given voting rights in 2006, the first Asian country to do so. The Korean Government has however been taken to task by the United Nations for not having anti-discrimination laws. In 2014, UN Special Rapporteur on racism, Mutuma Ruteere urged the Republic of Korea to enact a comprehensive anti-discrimination law, saying it is essential for the Government to address the issue of racism and xenophobia in view of the country’s history of ethnic and cultural homogeneity. The Korean government has still not acted on this recommendation. “As Korean society becomes more exposed to foreigners and migrant workers living in the country, it is important to continue addressing the issue of racism, xenophobia and discrimination,” said Mr Ruteere. Mr Ruteere noted that comprehensive anti-discrimination legislation would allow the appropriate institutions to play a more significant role in receiving complaints from victims, investigate and issue relevant recommendations for the Government to follow up. He encouraged the South Korean authorities to fight racism and discrimination through better education, as well as ensuring that the media is sensitive and conscious of the responsibility to avoid racist and xenophobic stereotypes and that perpetrators are punished where appropriate. He also called on the Government to improve legislation on employment in order to offer a better protection to migrant workers and their families, and encouraged the authorities to ratify the International Convention on the Protection of the Rights of All Migrant Workers and Members of Their Families. One of the most egregious examples of migrants' rights abuses in Asia is that of the exploitation and forced labor of migrant agricultural workers in South Korea, as reported by Amnesty International. Listen to the voice of NT, a 35 year old woman from Cambodia, who was working at a fruit and vegetable farm in South Jeolia province. "I was supposed to have a day off every other Saturday. But from April to June I worked every day without rest from 3am to 7pm. Otherwise rest days were given arbitrarily by the boss, who didn't want me to be free on Saturdays, because he didn't want me befriending other Cambodians. He was probably afraid that others would find out about my long work hours." Agricultural migrant workers in Korea typically enter under the Employment Permit System (EPS). Their labor is important to the survival of farms throughout the country. Despite this, a significant number of employers exploit migrant agricultural workers who endure excessive working hours, underpayment, discrimination and poor living conditions. Many are also denied a weekly paid rest day and annual leave. Severe restrictions on migrants' ability to change jobs prevents many from escaping exploitative conditions. In addition, the Labor Standards Act excludes agricultural workers from legal protections covering working hour, breaks and weekly rest days. Amnesty's report reveals how the majority of migrants interviewed were trafficked for exploitation and were working in conditions of forced labor. Most were coerced into working under conditions to which they did not agree, most commonly through threats and violence. Amnesty also highlights shortcomings in the redress mechanisms, finding that many people who sought help from the authorities were actively discouraged from taking complaints forward. Consequently, many unscrupulous employers have been allowed to exploit migrant agricultural workers with virtual impunity. Until the rights of these migrants are protected in practice, the EPS will continue to be synonymous with a system of labor exploitation, argues Amnesty International. Amnesty's findings are supported by evidence compiled by the National Human Rights Commission of Korea. Concerns about the treatment of migrants under Korea's EPS have also been raised by a number of UN bodies, but the Korean government has consistently failed to implement their recommendations. Korea has not ratified a number of relevant international conventions, namely: the UN Protocol to Prevent, Suppress and Punish Trafficking in Persons, Especially Women and Children; and the ILO Conventions on Forced or Compulsory Labour, and Abolition of Forced Labour. When compared with closeted Japan, Korea’s opening to immigration to help address its demographic drama is very impressive. But the Korean government and many Korean citizens do not treat their migrants as human beings, with human rights. They treat them more as a technical solution to a demographic and economic problem. Now that Korea has been a member of the Organisation for Economic Cooperation and Development for some 20 years, it is high time that Korea adhered to the values of this Organisation, notably respect for human rights and pluralist democracy. Much more serious efforts to promote an open and inclusive multicultural society would not only provide great benefits in terms of social cohesion and stability. It would also foster a more creative and dynamic economy. - South Korea's demographic changes and their political impact. Katharine H.S. Moon. October 2015. Brookings. - Republic of Korea: UN rights experts urges adoption of anti-discrimination law. UN News Center. - South Korea: Balancing Labor Demand with Strict Controls. Young-bum Park. December 1, 2004. Migration Policy Institute. - South Korea: End rampant abuse of migrant farm workers. Amnesty International. October 2014.